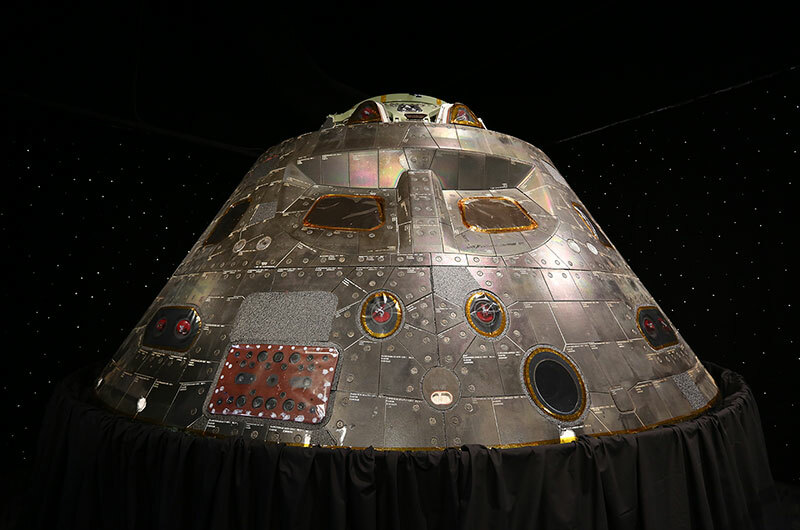 — More than two years after it splashed down from orbit, NASA's first Orion crew module to fly into space has landed on public display near where it was launched. 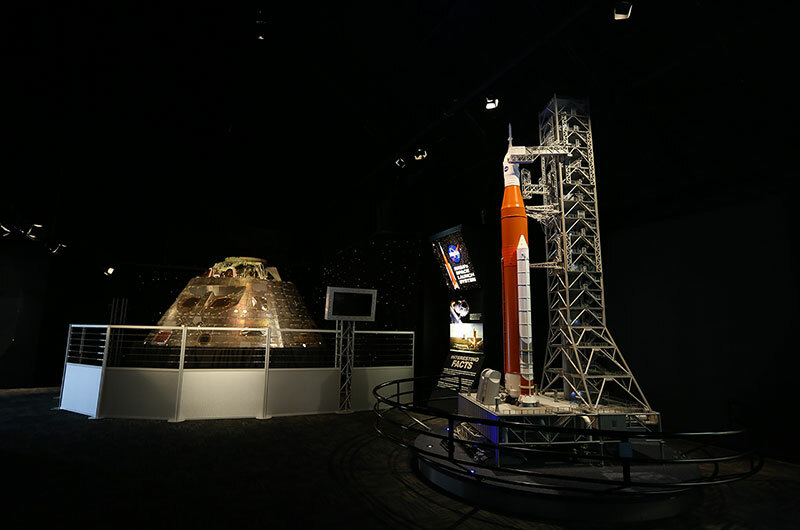 The uncrewed Orion capsule is now on exhibit at NASA's Kennedy Space Center Visitor Complex in Florida as the newest addition to NASA Now, a gallery devoted to telling "the evolving story of the future of space exploration." 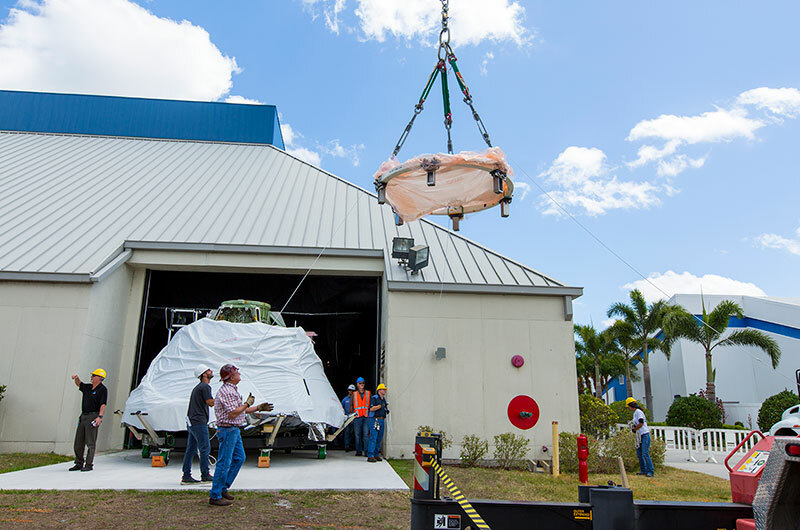 "This week, we welcomed another exciting addition to the NASA Now exhibit with the arrival of NASA's Orion spacecraft crew capsule, EFT-1," officials at the visitor complex announced on Facebook on Tuesday (April 11). The Orion was launched on NASA's Exploration Flight Test-1 (EFT-1) by a United Launch Alliance Delta IV Heavy rocket on Dec. 5, 2014. Orbiting the planet twice, the spacecraft flew to a distance of 3,600 miles (5,800 km) above Earth — farther than any spacecraft designed to fly astronauts since the Apollo 17 moon mission in 1972. 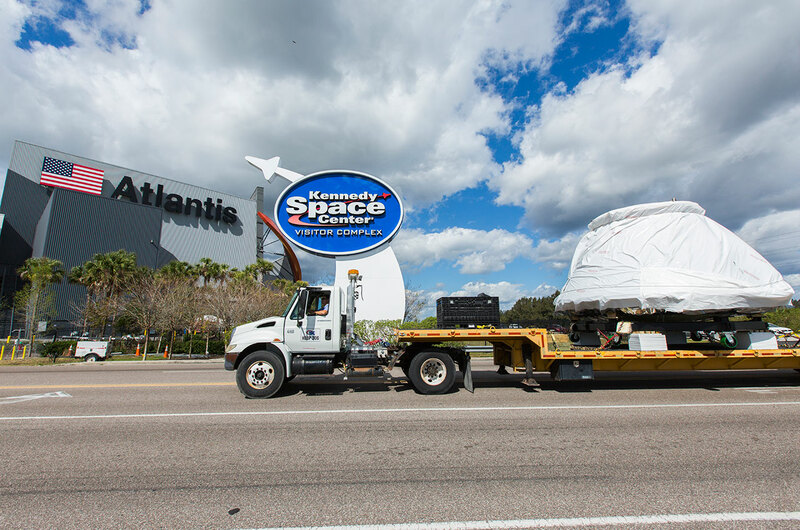 On Monday (April 10), it was moved from the Neil Armstrong Operations and Checkout Building at the Kennedy Space Center, where it had been built and later assessed post-flight, to the visitor complex. 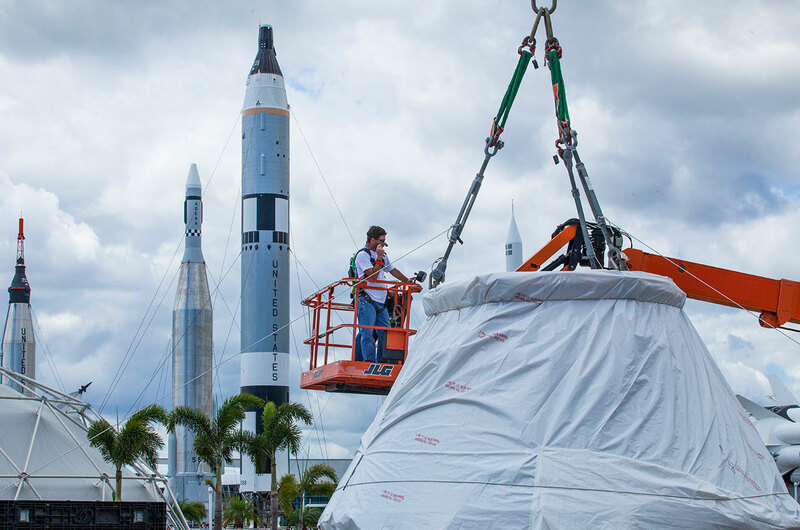 The Lockheed Martin-built capsule was transported by truck atop a custom ground support transporter, which was used to roll the 16-foot-wide (5 m) spacecraft into the IMAX theater building where the NASA Now exhibit is located. 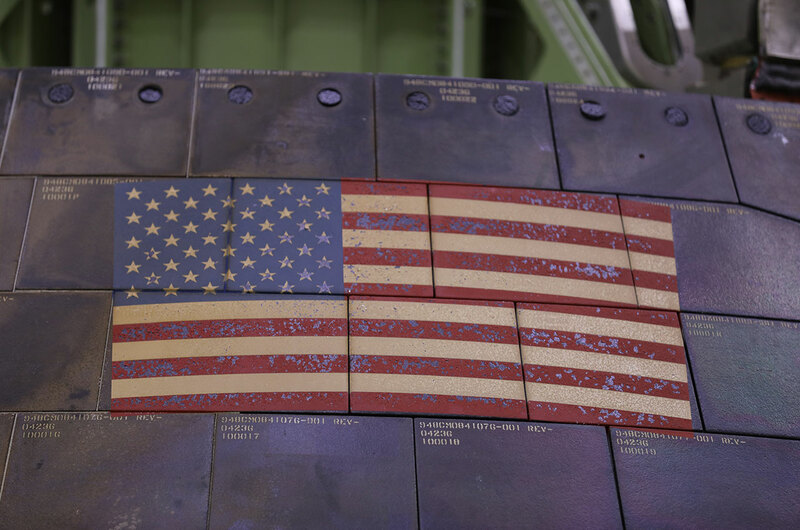 Now on display, guests to the Kennedy Space Center Visitor Complex can see the EFT-1 Orion with its original back shell of black thermal tiles, similar to those used on the underbelly of the space shuttle orbiters, that protected the capsule during its re-entry into the atmosphere. 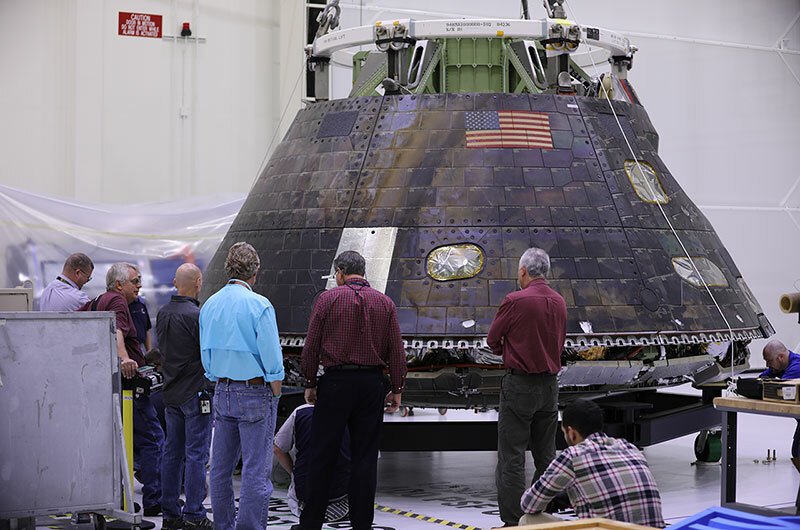 A curtain surrounding the Orion's base hides that its heat shield is absent, having been removed for post-flight analysis. 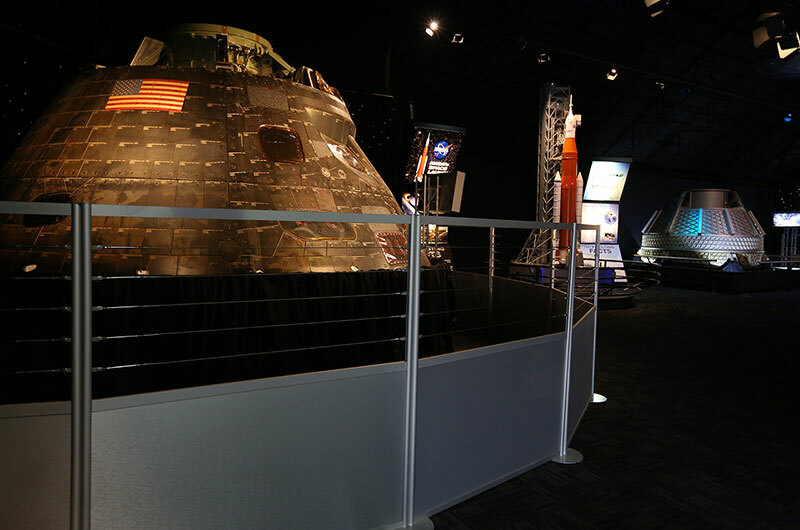 As described within the exhibit, the Orion was built "based upon all we've learned from NASA's 50 years of human spaceflight experience [using] the most advanced technologies available today to safely send astronauts further into space than any other spacecraft in history." 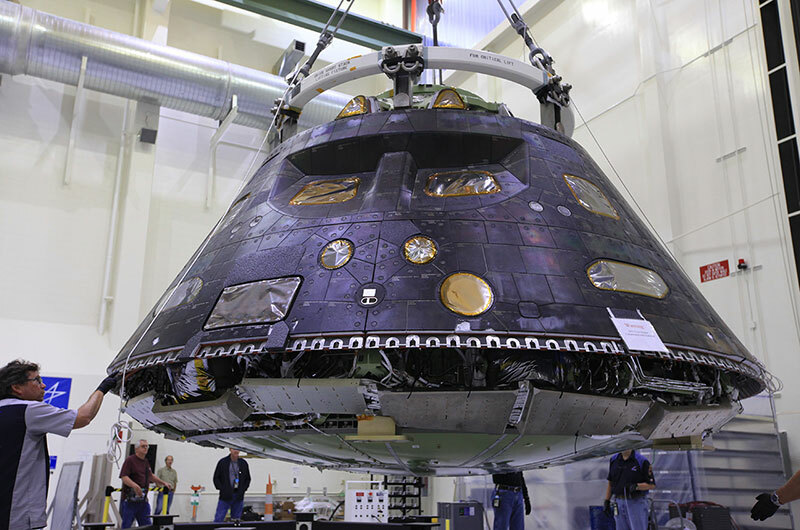 Intended to fly aboard NASA's Space Launch System (SLS) heavy-lift rocket, the next Orion capsule is slated for a trip around the moon in late 2018, but may slip if the agency decides to add a crew to that flight. The EFT-1 spacecraft had been expected to fly again as part of an Orion ascent abort test, lifting off to test the systems designed to protect astronauts if a problem arises during launch. 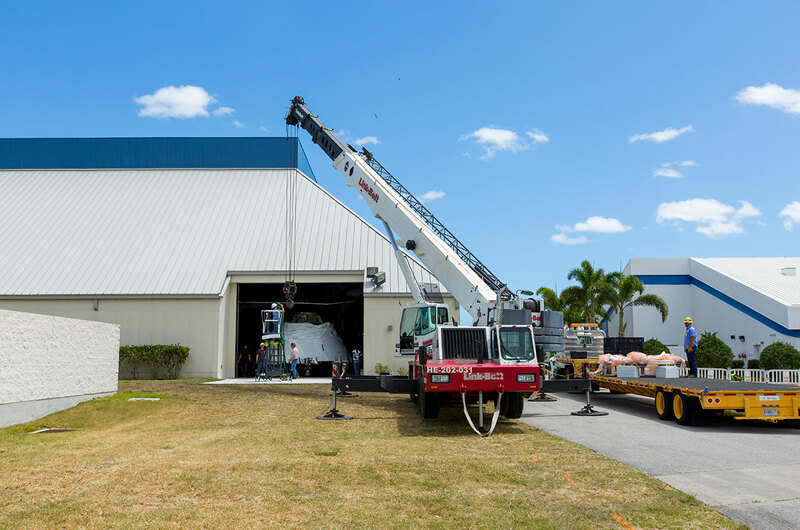 According to Lockheed Martin, that abort test will now use a boilerplate capsule and so the EFT-1 Orion will remain on display at the Kennedy Space Center Visitor Complex (however, if it is determined to be needed by NASA for some reason, it will be made available). 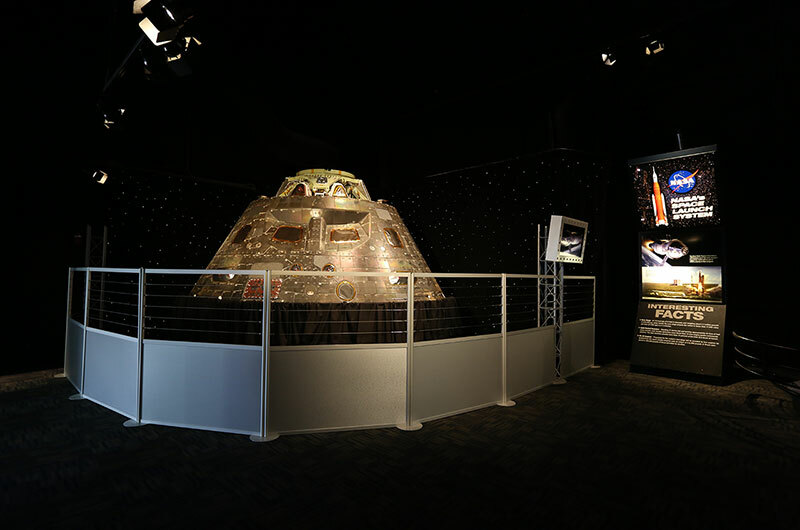 In addition to the Orion EFT-1 capsule, the NASA Now exhibit includes a SpaceX Dragon cargo capsule that flew to the International Space Station on the second uncrewed test flight of that vehicle in 2012; the pressure vessel for a Boeing CST-100 Starliner crew spacecraft; and scale models of NASA's SLS rocket and Sierra Nevada's Dream Chaser cargo vehicle. 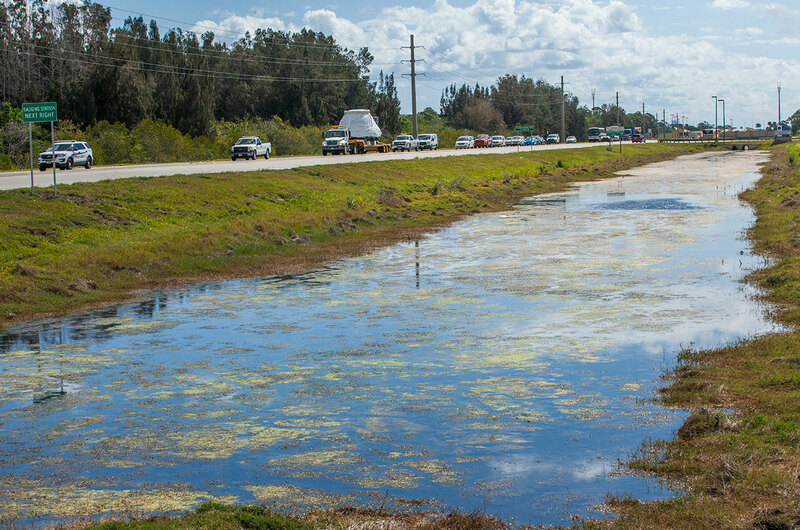 The visitor complex also recently added a Vector-R commercial launch vehicle to the gallery. 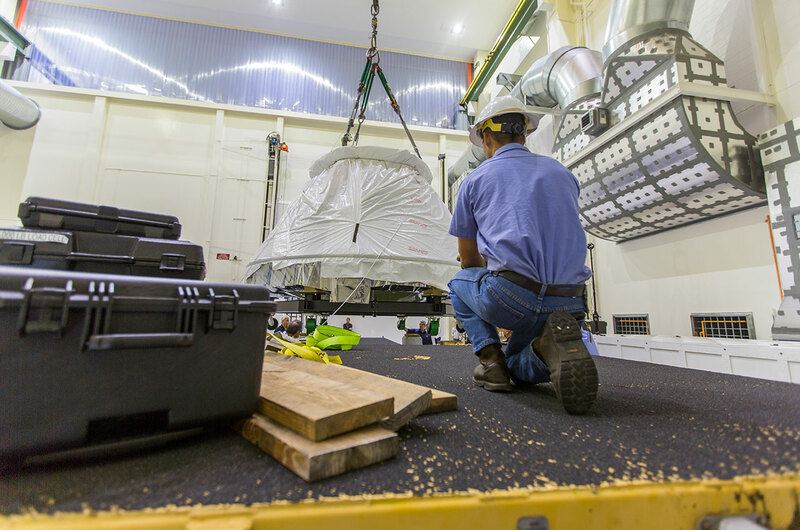 Inside the Neil Armstrong Operations and Checkout Building high bay at NASA's Kennedy Space Center in Florida, the Orion crew module from Exploration Flight Test 1 (EFT-1) is moved from a birdcage test stand to a custom-built transporter for its relocation to nearby Kennedy Space Center Visitor Complex. 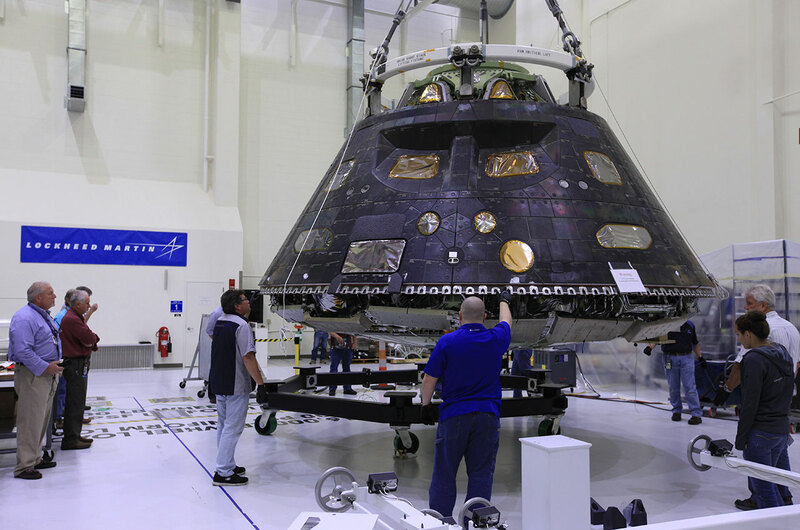 Inside the Neil Armstrong Operations and Checkout Building high bay at NASA's Kennedy Space Center in Florida, the Orion crew module from Exploration Flight Test 1 (EFT-1), now wrapped, is moved to the Kennedy Space Center Visitor Complex.